I love Starbucks. I’m not much for drinking the coffee there because if I’m spending $5 for liquid in a cup it’ll be for a beer or a Bourbon Slurpee. However, I love the FEEL of Starbucks. I’ll tag along with my wife just so I can hang out. Despite the obvious corporate dominance, it doesn’t feel corporate. They’ve done a crackerjack job of establishing an atmosphere that makes you want to bask in their ambiance for a few hours and steal their wi-fi. In addition, they have all sorts of nooks and crannies to sit in, some even have a comfy chair or two that belong in the master library in your house, where you might sit in a smoking jacking reading Hemmingway with a cigar and a snifter of cognac. But the thing I’ve always noticed about this mega-conglomerate coffee house is their staff. It was about a year ago when I was in one of the Starbucks with my wife, waiting for her non-fat-skinny-chai-frappuccino-double-espresso-shot-extra-chocolate-extra-hot-latte the other day, that I started to marvel at what little efficiency machines they were. Not that I wasn’t already aware of this. I have watched them casually before, but now I started comparing them to some of the crappy bartenders I’ve witnessed while out with friends, and I couldn’t help but think that if they were working for me, I wouldn’t even have to train them that much. They were already doing most of the things that my staff was doing, but instead of being rewarded for it, they were making A LOT less money doing it. I’m talking the difference of $10/hr. to $50/hr. Apparently they don’t understand just how valuable they are, so they often stay stuck in the same job making the same low-income, yet it’s a shame because they provide such remarkable service. 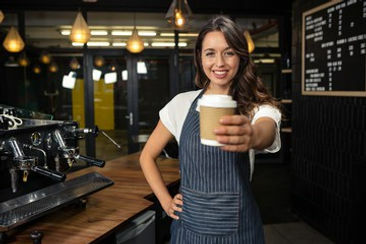 That’s when I made a decision to start targeting Starbucks employees to become bartenders and take my online bartending course Within a couple of months, I had a long list of Starbucks baristas becoming bartenders and drastically changing their lives with better income and a more rewarding job. It was AWESOME! It’s always nice when an experiment pans out, but it wasn’t my bartending course alone. It’s obvious that Starbucks has a fantastic training program, because the transition is practically seamless for them. 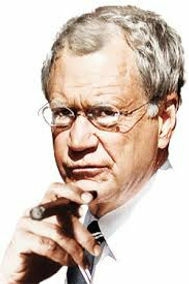 With that said, let’s look at why it’s so seamless, and while we’re at it, let’s go ahead and count down from 10 to 1 David Letterman style, because I miss Dave’s blatant sarcasm and passive-aggressive, back-handed wit. He deserves a tribute as special as this. 10. They’re used to being on their feet for long hours. In some professions you sit in an office all day, or on the phone, or tarring a roof in the 102 degree heat. Baristas and bartenders both move quickly on their feet for 6 – 8 hours at a time which is right up their ally, because they don’t like sitting and they don’t like roofing in July. 9. They already know how to use a POS system.Seems like no big deal, but if you’re experience is more in the area of old school typing out reports, using a POS system and handling cash and end-of-shift reports would be like an accountant trying to be entertaining and fun. 8. They’re used to working in crowded spaces. Baristas and bartenders are like those little worker ants who scurry around looking for pieces of whatever so they can stock up for the winter. If you watch them, they bump into each other briefly before moving on quickly to their next task. Same thing with baristas and bartenders: they move between and around each other quickly and efficiently to make sure their guests don’t die from lack of espresso through the long winter months. 7. They are fast, with a sense of urgency. This piggy-backs on #8. This is why I believe the Starbucks training program is pretty damn good, because people in general don’t hustle on their own. They need a manager or a coach or a really good whipping to put them in that frame of mind. We all know that bartenders can get crazy-busy making drinks in a high-volume bar, but I’ve seen Starbucks baristas move with the best of them to get the drinks out, which is just plain good customer service. 6. They’re well-trained. I know I’ve already said this one, but it needs its own spot on the list because it’s that important. In TheRealBarcourse, I teach people with absolutely no experience how to become bartenders quickly, and we have a very high-success rate, so you can only imagine what a well-trained, fast-moving super-ninja Starbucks barista could do. 5. They have energy. Don’t overlook this one. Not to bag on Walmart and the jobs they provide, but have you ever received “good” energy or a positive vibe from the staff? I know they have great prices and all, but by the time I walk out with my deodorant and toothpaste, I feel a sort of depression seeping into my pores. It’s awful. When you walk into Starbucks, or a bar/club that’s really poppin’, you feel a good energy, and it’s because the staff is hustling and bustling and smiling and they at least make you feel like you matter. 4. They have a good memory. Have you ever walked into a Starbucks and noticed that the person taking the orders knows the name of about half the people who walk in? Not to mention they are looking at tickets and churning out multiple drink orders at a time. You can’t do that if you have to keep looking back and referring to the print outs or people would never get their drinks. Same thing with bartending. As a bartender, you should be able to hold 10 drinks in your head that were ordered at one time and then go bust them out. Practice with this makes it easier. 3. They mix stuff together, just like bartenders do. Yep, they totally do. They blend together more frothy concoctions before 9:00 a.m. than cocktails made in one night by a bartender at a Miami nightclub. All they need to do to make the transition to bartender is mix different liquids in different containers, which is really just the same thing. 2. They multitask.Ahhhh, multitasking…one of the most important skills a bartender should have, which is why it’s listed at #2. I have (with deep regret) hired bartenders who can only make one drink at a time before they take the next order, and it kills their sales…and their tips. From what I’ve witnessed, Starbucks baristas can multitask like one of those Indian statues of demigods with 8 arms. 1. Because their friendly-can-do-service-oriented attitude is off the frickin’ charts.I really should use the full swear word here instead of “frickin'” because it’s aptly appropriate, especially since this isn’t a kid’s blog, but I totally wussed out. At any rate, whatever Starbucks is doing to train their staff, I want to steal it and keep it in my pocket forever, because it works. They greet you immediately when you walk in, they smile, they joke, they laugh, they know your name if you’re a regular. They deliver your drinks quickly and they do it over and over again. I am a deep believer that customer service is the #1 factor bar owners and managers need to be focusing on to keep their place (or make their place) a hot spot. I love Starbucks employees. I love hiring Starbucks employees at my bar. I love recruiting Starbucks employees at my bar. If you’re a Starbucks employee, or even if you’re not but you want to find out if you have what it takes to become a bartender, even if you have no experience, check out the video below to see what steps you would need to take to become a bartender. If becoming a bartender is not for you and you were born to steam milk instead, then keep cranking out those lattes, baby because my wife certainly appreciates you!